← Which Type of Wood Suits You Best? The style of your chosen staircase shouldn’t be an afterthought. Staircases are a very present structure in a room, so you should make sure you’re happy with the style and design before you have one fitted. 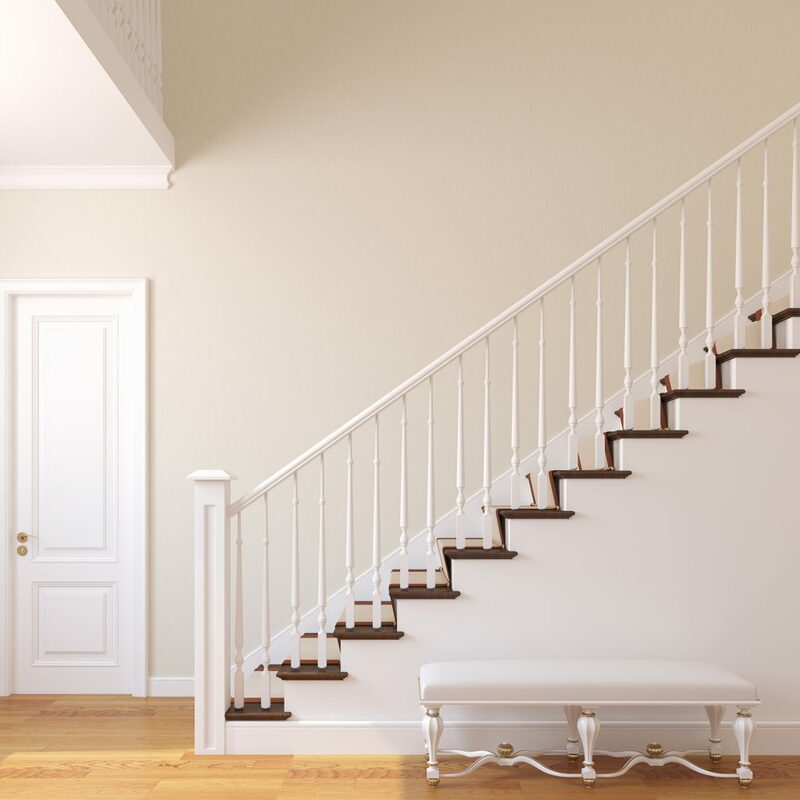 Here we’re going to take a look at some of the most common types of staircases and which types of properties are best-suited to their style and design. The most common staircase of them all is the simple, straight stairs. 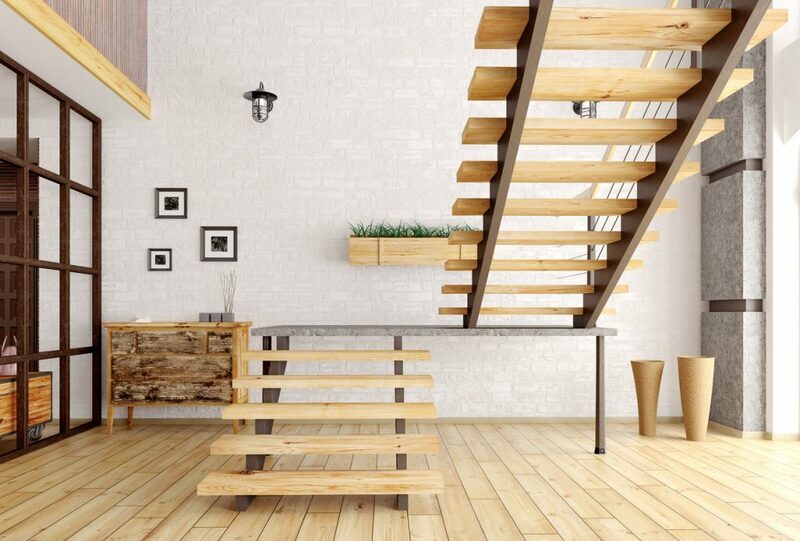 Found in both commercial and residential properties, straight stairs are advantageous in that they are the easiest to go up and down due to their straightforward, linear design with no change in direction. Straight stairs are also often the easiest to build, and handrails can be fitted very easily, making them a great choice for those who need help climbing stairs. Their biggest drawback by far is how much space they take up. 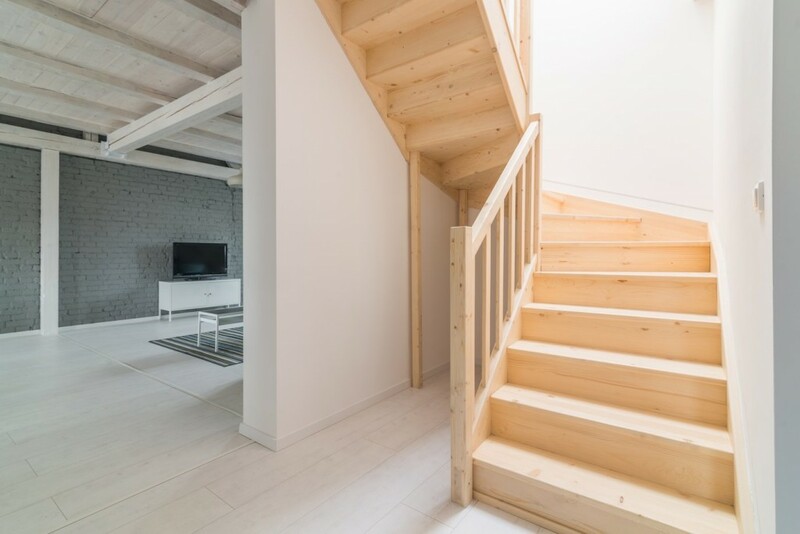 An awful lot of linear space is needed to make room for them, and whilst there are plenty of creative ways to utilise the space beneath this type of staircase, they are definitely better suited to larger properties. Landings can be put in to break up the stairs, making a resting place partway up. However, these would require an even larger space in the property. 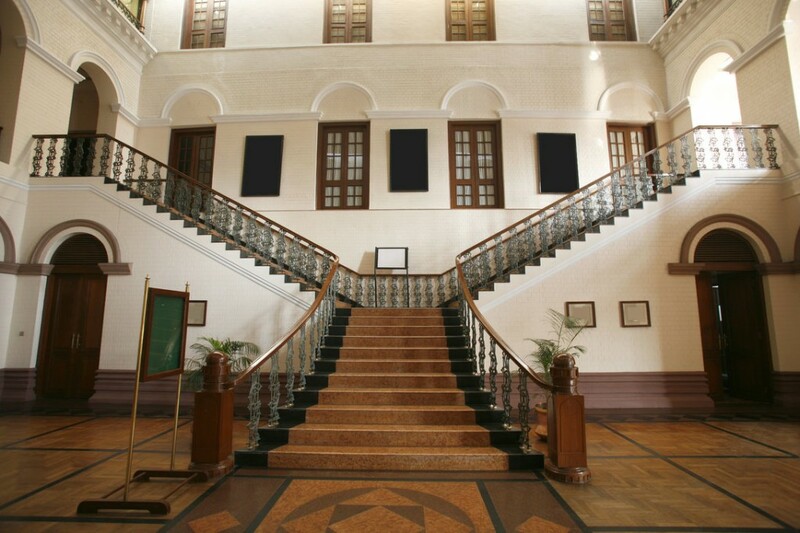 The L-shaped staircase, sometimes known as quarter turn stairs, are similar to straight stairs but with a straight bend partway up the stairs. This is usually done by adding a landing as the bend transition point, often at 90 degrees. The advantage of this kind of staircase is that it can often be more visually interesting than straight stairs, offer a bit more privacy between floors with a visual barrier and they can be strategically placed in the corner of a room as part of its design. The landing also offers a convenient resting place, or alternatively an extra place to add some elements of décor, such as a chair or a table with a vase. These stairs can be more difficult to build, the landing needs supports which could be incorporated into the design, and the handrails will require more careful planning. The main advantage of the L-shaped stairs is that they will take up less space than standard straight stairs, making them more suitable for smaller properties. Similar to the L-shaped staircase, winder stairs have a turn, but rather than a flat landing, they have a corner transition that remains part of the stairs. This slight variation makes winder stairs much more space saving than L-shaped or straight stairs. The seamless transition around corners also makes it more visually interesting, and they are very common in modern homes. Winder stairs are more difficult to navigate, however, than the L-shape, being more difficult to attach handrails to and needing more structural support. These stairs are indeed space saving and will be of use in smaller properties, but perhaps not the best choice if they are to be used by those with mobility issues. Spiral stairs are an exceptionally visually interesting design that can often be found in loft conversions where space is very limited. These types of stairs follow a helical arc, like a spring, and are often compact and the steps radiate around a central pole. This central pole often means spiral staircases don’t need any extra support, making for an easier installation. Their main advantage is their compactness, taking up minimal space whilst also providing a major impact to the overall style of a property. The main drawback to this kind of staircase is that they are the most difficult to navigate. Opting for larger steps could make climbing these stairs easier, but if the object is to save on space then this somewhat defeats the purpose of the spiral staircase. 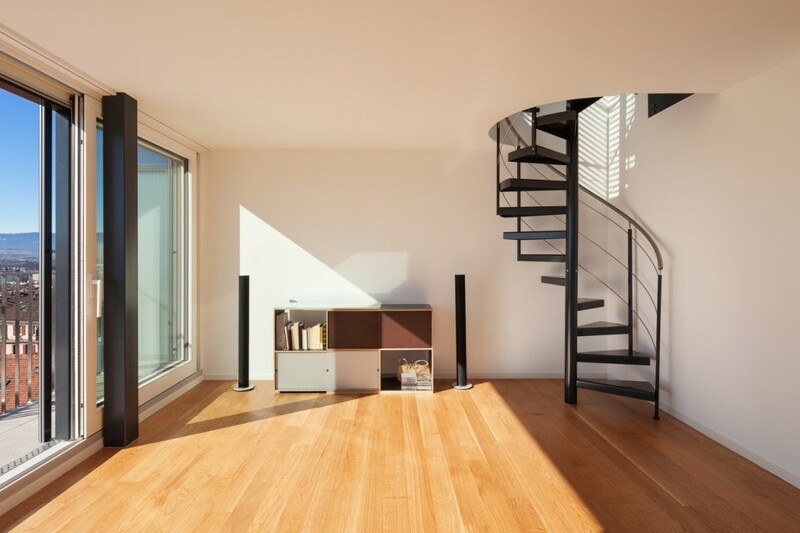 So, if a narrow spiral staircase best fits with the aesthetic of your property, be very aware that a lot of people may struggle to use them. Also known as a double staircase, an imperial staircase is synonymous with incredibly large houses and buildings, particularly in very luxurious properties. They start at the bottom as a single staircase, reach a half-landing and then branch off in two symmetrical flights to reach the same floor from different sides. The main advantage with these kinds of staircases is their accessibility, they are incredibly large so many people can ascend and descend them at the same time. They will also typically have handrails all along the entire thing, and the half-landing can act as a resting point that, due to its size, could also be fitted with furnishings and fittings to create a particular style. Of course, their main drawback is their humungous size. Very few properties would have the capacity to suitably house such a grand staircase. When selecting the right staircase for your property, make sure you take into account your space limitations and the design aesthetic you’re trying to create, and whether your chosen style of staircase will complement this. If you’re looking for staircase suppliers, look no further than Darcy Joinery. As a staircase manufacturer, we can help you make your dream staircase a reality.